Being an artist is not all fun and games. Creating works of art requires hard work, patience, talent and great inspiration. Ideas can pop up anywhere, in any form. With the introduction of portable devices like smartphones, tablet PCs, and digital cameras, capturing inspiration became easier. So it doesn’t matter if you’re strolling down the street, riding the bus or even sitting on a park bench collecting inspiring photos and writing down ideas is a cinch. Although traditional media of art like a blank canvass, block of wood, or a sketchbook is still being used, modern artists are exploring digital mediums. Software and apps are slowly becoming an artist’s new pen, chisel, and brush of choice. Every artist has their own playlists when they are working on a project. Music can help boost one’s creative juice and set the artistic mood as well. Sountracking is great app to create and manage your song choices. It allows users to share their song lists via email, SMS, Facebook, Twitter, Instagram, and Foursquare. The best feature of this app is the integration of music playing and interaction of users with others. Making a project board is a common tool for artists when they are still in the process of conceptualizing the theme of their project. Moodboard can be your best partner for the job. Easily import or upload photos directly from the web, edit photos and organize them into working ideas. It supports high resolutions images and export finished projects to PDF and PNG formats. This app is recommended for photographers, artists and even filmmakers. Sketchbooks have helped artists practice their craft for decades. Luckily, Autodesk Inc crossed the digital divide and gave us an intuitive app- Sketchbook Pro. It has more than 60 pre-loaded brushes, markers, and pencils; this app has everything an artist would need. Brushes can be customized to fit your creative needs. Images imported from your tablet or iPad with ease and then lay them out through various layers. Once your project is finished, upload them via iTunes, iCloud, or Dropbox, and access it from any device. Socialmatic, the geniuses behind the hit app, Instagram, worked with a camera company to develop the Insta-Cam. What started out as a concept became a reality after Polaroid and C&A got wind of the project. This app is designed after the popular Instagram icon—square, slim, and it still has a retro-rustic feel to it. Users can take pictures, apply their filters, and print it via its built-in mini printer. It’s also Wi-Fi enabled to easily upload pictures to your social media account. The Insta-Cam will be launched by 2014. 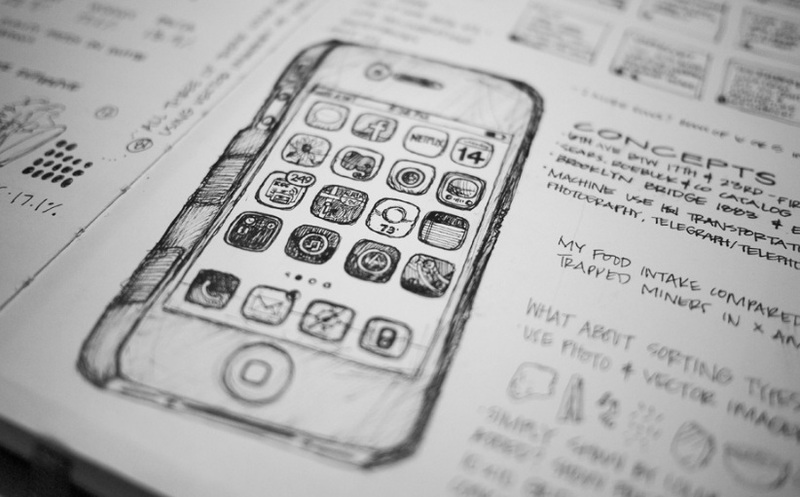 If you’re an iPad user, Paper is one of the best apps for you. Draw lines, sketches, and doodles at the spur of the moment. With Paper, you can also write and treat it as a journal. Use its extensive library of brushes and filters to suit your mood and need. Also, this app is optimized of the iPad’s Retina Display, giving you a clear view on your projects. This app can be streamed and shared on social sites like Tumblr, Facebook, and Twitter. For artists who want simplicity, install Paper and draw to your heart’s content. Typography is one of the most important elements in design. Sometimes, we just need to know that particular font to complete our design. Thanks to WhatTheFont app, it makes it easier to find a particular font. Just take a picture of the font via your smartphone and let WhatTheFont due its job: finding that elusive font. Now, you won’t lose sleep on a project and proceed with it. What other digital tools do you have in mind? Share it with me by commenting below.